Regardless of the wonderful reputation it may have, the true test for a tactical pistol’s worth is at the shooting range. The 92FS consistently bests the US military requirement of a 10-shot group of 3” or less at 50 meters (just short of 55 yards). While this type of match-grade accuracy is impressive, it is no magic. At Beretta, we know that absolutely precise tolerances keep performance consistent shot after shot—which not only make the 92FS super-accurate, but it makes all factory parts interchangeable within the same model. Couple to this the ability to reliably feed every variety of commercial ammunition, and it is easy to understand why the 92FS remains the best pistol in its class. This pistol offers a variety of tactical features that make it equally safe, easy to use and dependable in the holster or at the range. Its reversible magazine release lets you use either hand for tactical magazine changes, while its ambidextrous safety-decocker makes it flexible for right- or left-handed persons or for shooters trying out different gripping or shooting styles. 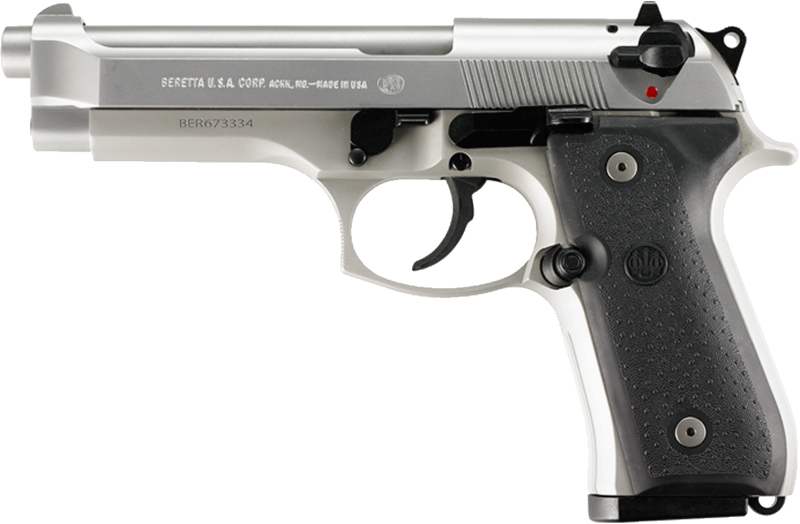 Its satin stainless finish is highly resistant to sweat and corrosion, and after shooting, a tool-free disassembly latch makes it a snap to take the pistol apart for cleaning. 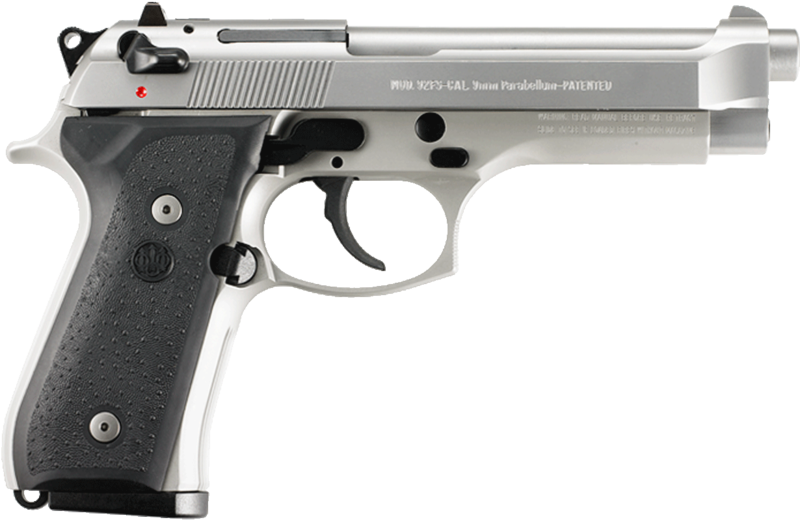 A pistol that is designed to work hard, be easy to maintain and perform flawlessly, the 92FS Inox is a premium-quality handgun that will be the jewel in any shooter’s collection.